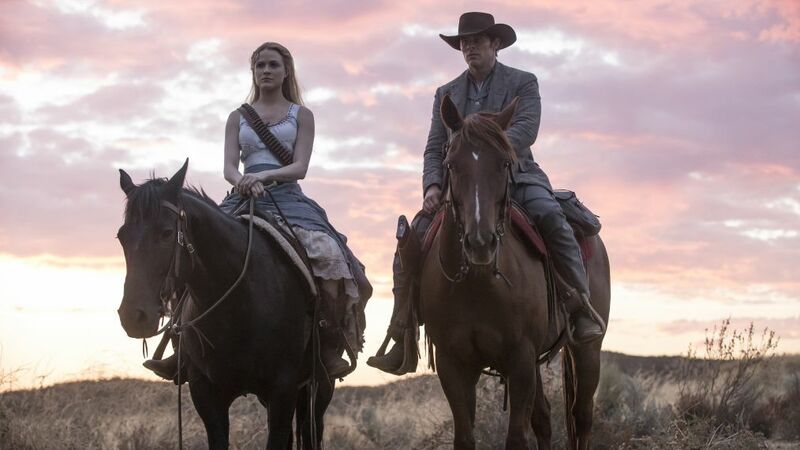 Westworld is one of the most twisty-turny shows on television right now, and there are many theories circulating on the Internet about what's going to happen in the HBO series' upcoming second season. Instead of suffering damage from major spoiler mistakes—like Game of Thrones—the showrunners of the futuristic drama, Jonathan Nolan and Lisa Joy, decided to get ahead of the curve and reveal major plot points. They made the announcement during a Reddit AMA and said the cast is on board with the unprecedented decision. "If you guys agree, we’re going to post a video that lays out the plot (and twists and turns) of Season 2. Everything. The whole sordid thing. Up front,” wrote Nolan and Joy. "That way, the members of the community here who want the season spoiled for them can watch ahead, and then protect the rest of the community, and help to distinguish between what’s 'theory' and what’s spoiler." Westworld's first season blew audiences away with its use of multiple timelines, flashback/dream sequences, and the impossibility of deciphering between human and host. So of course that led to multiple conversations online about theories, reveals, and surprises. "'Theories' can actually be spoilers, and the line between the two is confusing," they added. "It’s something we’ve been thinking about since last season. The fans of Game of Thrones, for instance, rallied around and protected the secrets of the narrative in part because they already knew those secrets (through Season 5)." It begins with Bernard (Jeffrey Wright) waking up on a beach. He's then found by Ashley Stubbs (Luke Hemsworth) and sees multiple inactive hosts laying on the ground. Bernard narrates his movement and thoughts throughout the next few scenes, and then the video transitions to Delores (Evan Rachel Wood) in street clothing—or it could be ERW as her real-life self (the mind games are already beginning! )—singing while Clementine (Angela Sarafyan) plays the piano. "Never gonna give you up, never gonna let you down," she sings. Ahhh, we get it now. We've been Rickrolled! Then, the video cuts to a cute dog sitting at a piano as the show's theme music plays... for 20 minutes.